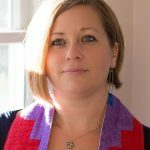 The Care Team of the First Unitarian Society of Ithaca (FUSIT) acts on behalf of the congregation to provide pastoral care and support for members and friends of the congregation who are going through challenging times. As a congregation, we covenant to promote and affirm compassion and acceptance of one another. We seek to create and sustain a community of caring, in which we come together to do the work of kindness. To this end, we ask for your help in providing care and support to each other in times of illness, bereavement, and other life challenges. Whether you have time for an occasional task or a long-term commitment, please volunteer! If you need a ride to any event at church, please contact Molly Robbins at the email address listed below as early as possible, so that they can contact a member who is willing to help. If you are willing to provide occasional rides for others, contact Molly to give her your name and contact information.